Black Friday is a great time to pick up a blazing fast large hard drive and to celebrate the savings, Seagate has provided us with five Seagate GoFlex USB 3.0 hard drives to give away to our readers. In addition to the giveaway, Seagate is offering a selection of deals on Seagate hard drives via their online store in celebration of Black Friday. The following Black Friday deals run through Monday November 29th. Discounts on a GoFlex Desk 1TB bundled with the1TB GoFlex™ Home—the perfect combination for storing, backing up and sharing all your holiday photos, a 2TB GoFlex Home bundled with a GoFlex TV HD media player, or a very festive ruby red 500GB FreeAgent, which would make a perfect stocking stuffer! You can also find deals on Seagate drives at Best Buy which is selling a 2TB Seagate GoFlex Drive for $89 on Black Friday. 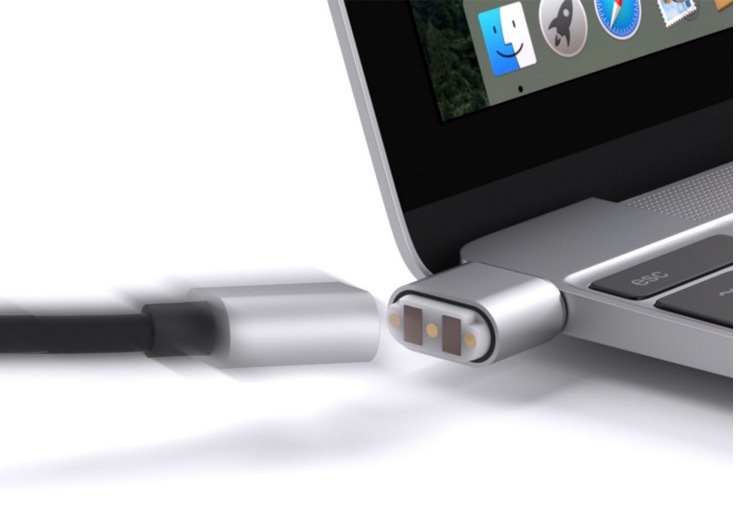 The Seagate UltraPortable GoFlex USB 3.0 drives will come with a a USB 3.0 cable for easy and fast connectivity and provide 1.5TB of storage. Tell us if you backup and how (what kind of drive/service/software). Tell us what your favorite Black Friday deal is or which one you’re going to buy. The contest will close on Black Friday at Noon Pacific when five winners will be drawn using Random.org to pick 5 random numbers. You must be a U.S. resident and 18 years old to enter, void where prohibited by law. One entry per person. 1. I don’t back up in any systematic way, other than keeping copies of important files on more than one computer. 2. I’m interested in getting a digital camera (point and shoot) on Black Friday, since mine broke a while ago. 1. I backup to an external hard drive using SyncBack. I also back up using Mozy. 2. My wish item for Black Friday is Best Buy’s Nook. I don’t currently backup at home – gasp! But hey, with one of these I wouldn’t have an excuse. As for BF, I’m thinking of finally taking the XBOX plunge. YES I backup. It only takes one event of lost data (and either the ensuing recovery or LACK of recovery to get even the die-hard non backuper to recant and put a program in place. Currently, I use a COUPLE of solutions, time machine for macs, and pc cloner (plus some windows 7 utilities) for pcs’. Some systems are daily, some are weekly. I’m using an older Vantec drive enclosure with a tired 500GB SATA drive that should be replaced. Dropbox gets all my critical files and I use Google Storage/Docs too on occasion. Mostly just STEAM backups and some non replaceable pictures. I hope to upgrade this holiday. I’m actually just using Win7 Ult backup software on a schedule. As for Black Friday, it’s all about the Blue Ray movies for me. Usually get into Target after the door busters trample each other. Yes I do backup. I use the default Windows 7 backup….but I use it with a 500gb external USB Drive so I only backup the essentials. I don’t really back up my system right now, since I maintain 2 my important documents online, as for black Friday deal I have not found one I need yet! 1. I only backup via CDs but my laptop is failing so I need to find a way to back up all my music before it dies. 2. Wishlist: #1. 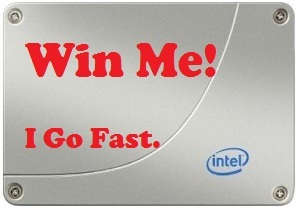 Laptop – then, HD TV; winning lotto ticket… and, a Seagate UltraPortable GoFlex USB 3.0 drive. 1) I have an external USB HDD that I use to do weekly backups. 1. Only backup a few important files on CD. 2. Shopping for external HD (of course) Maybe digital camera. 1: I use the built in backup from windows 7 pro, it backs up to a local NAS drive. 2: We’re looking for a nice deal on a ps3 with MOVE! 1) Currently I do not use any organized backup. I do use USB flash drives to keep some important files handy. 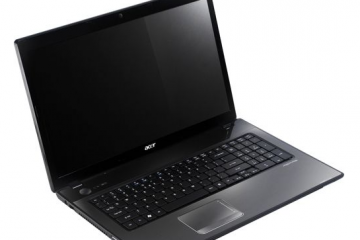 2) As for Black Friday, I am set on getting the Acer laptop from Officemax. That one thing is definete, rest of the stuff, I am still deciding. 2. I guess an external hard drive would be a priority Black Friday buy for me. I know I should back-up but I don’t. I’m looking at the TiVo Premier as a Black Friday must have. 1. I’m slowly building up my Backup routines. Right now I’m using Dropbox and a couple of smaller external hard drives running through a Linksys NAS. But very little is automated or all encompassing given the number of PC’s I’ve got on my network. I need to work on that, still. I MIGHT try to build an Ubuntu server or a FreeNAS setup over the Thanksgiving weekend. 2. As for the best deals, I’m thinking about either the $10 Brother Label Maker at Staples, or the 2TB Seagate GoFlex Home at Best Buy (thanks for that lead). I tend to do most of my data backup to the cloud (dropbox, skydrive). Else local external. I’m looking at a new 24″ monitor for Black Friday. That or a new speaker system. And a few flash drives. I use Time Machine on my MacBook with an Airport Extreme hooked to a 2 TB WD drive. For black friday I hope to pick up a new MBP for the wife, if I can find a deal. 1. I use Time Machine to back up my Mac onto an external 750GB Seatgate drive plus I manually make extra copies of important files. 1. I dont have any back up tool other then coping files i want to keep to a flash drive. 2. for black Friday deals i will be looking to get one of the TV deals. The Black Friday deal I’ll buy will be for a shiny new iPod Touch, provided I find a good price in time! 1. I backup all the time using Apple’s Time Machine to a Time Capsule. 2. A new laptop for my wife. I do monthly whole-disc backups now with Acronis True Image and also use Carbonite to backup my important files online. I also have a small 8GB USB drive that I copy my important files to weekly. I splurged on a Seagate 1TB drive earlier in the year and I’ve already filled the drive with backups. I’ve had to say the Best Buy “2TB Seagate GoFlex Drive for $89” deal is one I’m looking forward to getting. I back up my files manually to an external hard drive, but i have a Microsoft system image on my old hard drive, kept in an enclosure in a safe place. # Tell us if you backup and how (what kind of drive/service/software). # Tell us what your favorite Black Friday deal is or which one you’re going to buy. I currently back up using a raid 1 setup internally, with this extra storage it would give me an opportunity for me to keep a 2nd copy of all my important data such as pictures and music. So far my favorite black friday deal has been the 40″ TV at target for under $300. I back up my files manually to a external HDD. But i do need a new process to make it easier and more often. I back my files up on an external Western Digital drive. My favorite black friday deal is the Dell XPS 15 for $899. I also use synctoy and just back up once a week. I just have SO many files here and there, I am looking for a big hd to consolidate and clean out stuff. My favorite black friday deal that i’ve seen (i need to go back and check that i remember it correctly) is a 2TB drive at Target for $69. My favorite black friday deal is all of them. I love watching the people go mad over the crazy prices. people turning idiotic over money is amusing. Watching the madness is better than any thing showing on tv and therefore is the best deal since it is amusement for free. 1. I currently back up using a second internal hard drive. For key documents I use http://www.adrive.com. At adrive.com you get 50 GB of free online storage. It is limited in features unless you pay for upgrades, but you still get 50 GB FREE! 2. 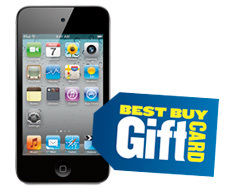 My favorite Black Friday deal is the iPod touch that comes with a $50 gift card at Walmart. This is primarily because I will use the gift cards from purchasing several iPods to purchase a 37″ Vizio with 1080p for $378 and comes with a $40 Walmart gift card. This sale is on Saturday. I do not have a back up and i know i should. I don’t have the money or the knowledge to make a good sellection. I don’t backup, but I’m looking for an excuse to do just that. Now that my wife and I have 2 small boys, she takes more pictures than a police radar on the Autobahn in Germany and she feels the need to store them all. Also, my music collection is near and dear to me, so I need a sure-fire way to keep all those files safe. 1. I backup currently using a 500GB drive, but I just bought a 500GB drive for my macbook pro today so I need a bigger solution for sure for time machine to use. 2. I will be looking at USB drives and other things for the family when I go out on black friday. I just got a macbook pro so I don’t need a new laptop really. I backup using my current Seagate portable 500 GB drive. It’s seamless and flawless. And I’d love to get the $89.99 Sony blu-ray player. With a new 60″ HDTV in my home theater, all I need is a blu-ray player to watch some amazing movies. 1. I don’t (yet) do systematic backups but I certainly will in the very near future. 2. I’m looking for a good HDTV deal. 1. Every now and then I use GParted to do an OS partition to my secondary drive, so I can do a complete system backup without messing up my data. However this is pretty dangerous if theres a physical problem with the drive, in which case I might lose data. That’s why I need this Goflex drive. 2. 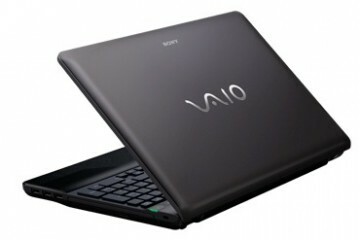 My fave BF deal is the SONY VAIO EB3KFX/WI Core i5 Laptop $699 at Office Max. 2. I need 2 new laptops. Hi! Great site and great contest! 1.) I backup currently using Time Machine for my macbook pro. 2.) Favorite deal? Probably MacMall’s deal on a 17′ macbook pro for around $2100. 1. Currently use Windows 7 default backup to backup on my partitioned hard drive. 2. My favorite blackfriday which i am looking for Wii console from circuit city. 1. I just manually backup on a thumb drive. 2. I need a good HDTV. I use Syncback to back up data only to an external drive that’s almost full. I am looking at that 2TB GoFlex as a result. I back up with a robocopy script to an external usb 3.0 drive from another vendor. I’m looking for a MIFI deal or a deal on a Bloomfield i7 intel processor for Black Friday, but I’ve yet to see anything specific to those categories. I’m still waiting for the dust to settle on a slate. I backup to hard drives without a software program. I plan on purchasing some 2GB Hard Drives on Black Friday. Thanks for the offer to enter! I backed up my photos with Lacie drives, and thought they were up to the job. However 3 of the 5 I used have now quit, and I can’t trust the other 2. Luckily, they make strange noises before dying, and I saved most of the contents. I switched to another drive company recently, but would like to try a Seagate. 1) I manually copy my important files into external hard drive. I don’t specific use any backup application. 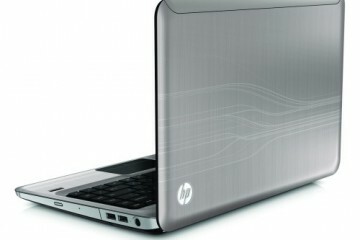 2) I am looking for one good notebook with i5/i7 processor. But still haven’t got any good deal. Sweet Giveaway Hope I win!! 2) I would have to say a 50 inch hdtv at Walmart(even though I never shop there) for about 700..
3) Use Crash Plan to back up off-site. I’m considering buying a new LCD TV at Wal-Mart. Their Black Friday pricing seems to be terrific. 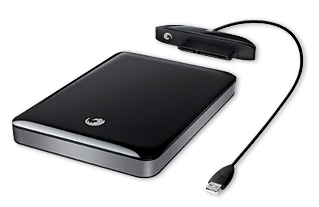 Use western digital software to take backup on western digital external hard drive. I have plan to buy 3D tv from costco and one TOMTOM GPS from amazon. 1. I backup manually by dragging and copying. 1. I backup on a Windows 7 network drive using Windows Backup and Restore. I just recently purchased 6 7200.12 drives and 2 out of the six failed. One unrecoverably. Lost over a year’s worth of photography and video. Seagate wont’ help with data recovery and will probably try to weasel out of warrantying the drive. Tech support did, however, eagerly push their extremely expensive data recovery service while constantly denying any responsibility. With the news of them having to pay out 1.9 mil to a mis-led employee their company will probably rapidly devalue. I backup my files to an external hard disk, and online to Dropbox. For Black Friday I am looking to get a Garmin GPS watch, to track my workout. I used to back up on my external maxtor HD until it messed up my files… now i’m paranoid and looking to hedge my bets through adrive, storewith and other online locations! my black friday deal is going to be a better external HD and a P&S camera now that they have come out with way better resolution! 1. Backup to a Windows Home Server and certain critical files to DropBox. 2. Always looking at tech toys for Black Friday deals. 1) I backup my data to an external 250GB Seagate HDD using SyncBack software. 2) For Black Friday , i want to buy a 60GB SSD from TigerDirect.com for my PC. I use a combination of things, like WHS and another local NAS. I have also used carbonite, which is cross platform. Multiple backups will continue to be necessary. I’m hoping for some deals from apple though, maybe a nice time capsule on discount? 1) 1 just backup my docs on a usb drive. 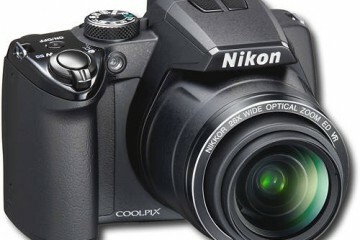 2) i looking for a good SLR camera on friday. ive been backing up with a simpletech 1tb drive that recently crashed! the black friday deal i am looking into is the 2tb seagate goflex for $89, to replace the simpletech. I backup using NTI shadow on a 300gb drive. I also looking for a 1+TB hard drive on Friday. 1. I have tons of receipts (it’s kind of embarrassing) that I’d love to scan and then recycle. I’m really big on the “going green” trend, so I’d like to take all of my bills/receipts and make them virtual. I’ve also had bad luck with my computers dying on me (I can’t afford new and great so I buy old and ok, so I’d like to also keep a general backup of my pc. 2. My favorite Black Friday deal is this $50 iTunes gift card for $35 https://cl.ly/3O4N. Like I said, I can’t afford to go crazy for stuff (I’ve never been capable of “pulling the trigger and buying stuff on Black Friday), but I’ve been obsessing over music lately and would love to just get some more. Legally. Planning to buy Toshiba laptop from Bestbuy on this blackfriday. Sorry to write another comment.. But wondering how and when the result will be announced. Do i need to check-in my mails or will it be announced on this site too. I back up my entire Windows 7 System using Norton Ghost plus manually back up all my software to my 1 TB Seagate Internal Drive. I want to save all my movies but don’t have enough room. I am going to get the 16 GB Sandisk Cruzer USB Flash drive at Office Depot. I back up my data using windows 7 built in software on my old 100gb hard drive. I’m looking for a new hard drive on friday. Hope I win this one!!. I currently use Windows Home Server running on a small Via Server w/ an external Seagate 1.5 TB drive. 1. I use acronis true image for my system restore and Delphic for my data. 2. I am looking for a 60″ led at compusa on black Friday. I CURRENTLY DO NOT BACK UP / BUT WITH THIS DEVICE HEY, I CAN START, IT SOUNDS GREAT!! I AM LOOKING TO BUY A BLU- RAY DISC WHICH BEST BUY HAS ONE FOR $59.00 TOSHIBA AND WALMART HAS ONE THAT IS WI FI READY MAGNAVOX FOR $69.00/ AND OF COURSE MY FAV. THING TO BUY ON BLACK FRIDAY IS THE TOYS FOR MY 4 BABIES!!! I USE A WESTERN DIGITAL 2TB EXTERNAL USB DRIVE NOW THAT IS GIVING ME PROBLEMS AND MAKING ME REAL NERVOUS ABOUT HOW GOOD MY BACK UP REALLY IS. I DON’T USE BACKUP SOFTWARE. I JUST COPY MY FILES TO A FOLDER ON THE DRIVE. I HAVE ABOUT TEN YEARS OF PHOTO IMAGES BACKED UP ON IT AND MAN IF LOSE THAT I WOULD BE DEVASTATED. SO I’M LOOKING AT THE 2TB SEAGATE GOFLEX DRIVE FOR $89 ON BLACK FRIDAY. WINNING ONE WOULD BE OUT OF THIS WORLD! 1. For my Macbook, backup is simple and easy with TimeMachine and a Time Capsule. For my PC at work, Genie TimeLine and an Iomega StorCenter. (Which is buggy and lame. It has crashed and lost all of my data twice in the 9 months I’ve owned it) I need a new solution for it and for my wife’s laptop. Very cool. I just back up to a portable external drive, using the time machine function. I don’t back up at all right now, hence the need for an external drive. I’d really hate to lose my photos! 1. I am now backing up my Mac using Time Machine, since I lost all of my last drive from dropping my Macbook. I use external USB devices for backups for both work and private work. The material varies from documents to binaries to media. My favorite black Friday deals are those that are a clear discount over what can normally be found by checking online and discount stores. This year I will probably get a 1.5TB disk drive that is listed for nearly 80% off. I use windows backup to take backup on my partitioned hard drive. I am going to buy samsung lcd + wii pack from bestbuy. I am just about to leave to stand in queue.. I hope its not too late. I don’t back up as much as I should and instead keep copies of some files on different partitions and my school computer. 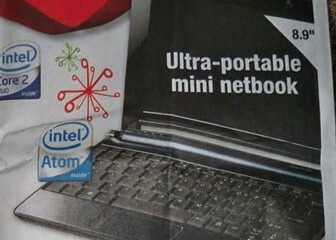 I was going to get a laptop from best buy but they changed the model from the ad they had on Wednesday so I am not sure if I will find another one that I like. I’m backing up using norton ghost. I will also buy a laptop and a gps unit this Friday. I’m using manual backup on a external HD. I’m looking for good HDTV on friday. I back up some files to flash drive. Husband has something called “hot drive” he used to use at work but I’m really at risk right now and need a new back up device! Please, draw my name! Best black friday deal for me is luggage for $17 that is normally $199! Also, will get my husband the $29 firepit normally $69. Was going to get the $298 TV at Target but will probably not make it intime. Just can’t do the camp out thing. There is a 750GB Western digital backup on ecost.com for $49.99 so if I don’t win this seagate, I guess I’ll get that. I recently purchased a new computer in the last three weeks and haven’t begun loading a lot of sentimental, important or vital information on it yet. I will be very soon and that is why I have been searching this holiday season to hopefully find a reliable and reasonably priced external hard drive for my new computer. In the past I have backed up my computer files and am glad I did, as I have experienced two major computer failures. So I will be backing up whatever information and such that I load on my new computer. Interestingly enough a Seagates is on my prospective purchase list. Regardless, win here or not I’ll have some form of external back up by next week for sure. I don’t really back up right now. Just bought a lenovo W500 and installed an SSD drive on it. Sad to say, it was only 128 GB, as they are still a little expensive, and i have 120 GB used up already. Can’t even do a Backup Restore and Recovery Until i can get 30 some odd GB of Music off of the Drive. Why I am looking for a Portable External Hard Drive. Oh and get this the Maxtor 4 Mini I have will not work with my Windows 7 64 bit OS. Have to jump through the seagate hoops to have them redo. Taking my chances on getting the Black Friday sale at Staples 89.99, Seagate Freeagent GO 1 TB. I can’t play the worlds smallest violin, but if i could it would be symbolic of my current back-up methods. That is, i have none… I have a Lenova Thinkpad, which i recently updated to Windows 7. The reason i updated was because Windows Vista crashed on me. I lost everything, including my ex girlfriend photos :/ which might not have been a bad thing… Anywho, my roommate first brought Seagate to my attention this year. Incredible. It was a 500GB FreeAgent Go, precisely what I flipped thorugh black Friday ads to find. Instead, I found a cheap Western Digital. Throw me a bone! I have a Seagate 1.5 TB Expansion Desktop Hard Drive that I backup my MacBook Pro with via Time Machine. It backs up every hour. I use Dropbox for major things. Still getting use to the cloud. I backup using https://www.carbonite.com/ over online storage. Has the result announced for this? hi, anyone know if the contest winners have been notified or this contest?